We can fish any body of water you choose in the South Florida Region. From Biscayne Bay to Florida Bay all depending on what Species you have in mind, or are trying to check off your bucket list! Miami fishing charters offer the availability to fish a wide assortment of areas. These include backcountry pockets, gin clear shallow flats, grass flats, and even active spots with the Miami skyline as your backdrop. Though you will find this to be one of the best areas to target Bonefish – Snook, Tarpon, Sea Trout, Snapper, and even the toothy Barracuda can all be targeted here. Flamingo in Everglades National Park is simply one of the most amazing places not only in Florida, but in the world. This is an amazing fishery with a wild side. 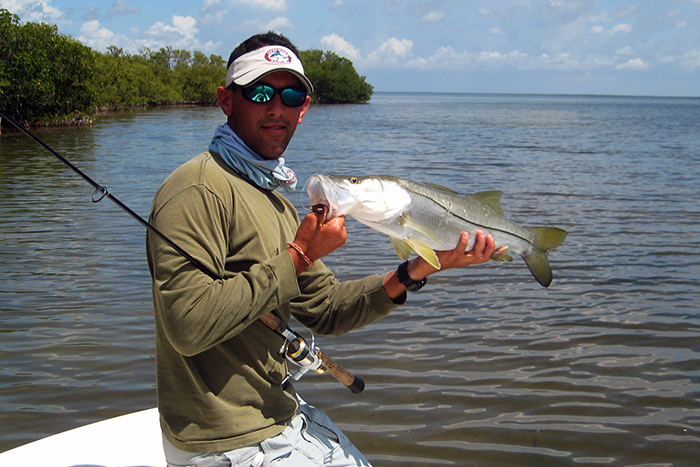 Targeting Redfish, Snook, Tarpon, Sea Trout, and even sharks is a typical trip into the park. Add to this Black Drum, Sheepshead, and even the occasional grouper you will soon see why anglers from all over the world flood into the park everyday. Key Largo resides in the upper Florida Keys. Though the species list is similar to that of the Biscayne Bay area in Miami, the environment is world’s away. Whether sight fishing Permit on an incoming tide or stalking Bonefish in the skinniest of waters, No trip to Florida is complete without a trip to the Keys. 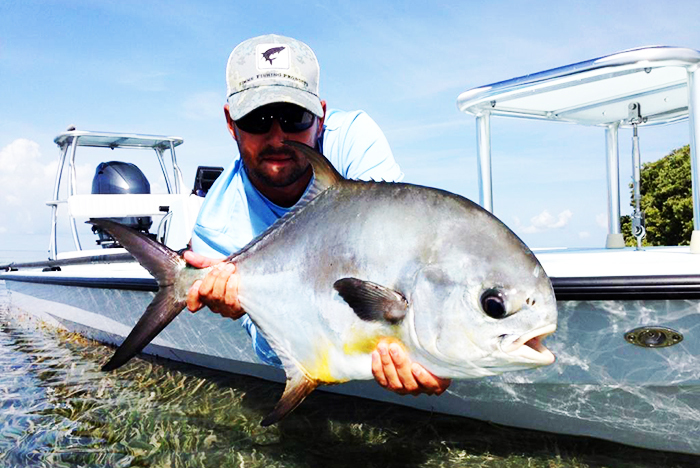 Tides Right will make sure your Key Largo fishing trip is one for the record books. Lodging accommodations can be made, call ahead for best locations and availability. The Captain will contact you with where to meet for your custom fishing adventure. *Need help? Please contact us with any questions: 954-684-2705 or use the form to the right for inquiry. A $250 deposit required upon booking of charter. Deposit is 100% refundable if cancellation made two weeks prior to scheduled date. No Call No Shows will be charged full charter amount.Reservations may be re scheduled for future dates without loss of deposit. Fishing the flats of Miami is a world class sport. Whether sight casting with a fly rod or blind casting the mangroves, any day on the flats of Biscayne Bay is destined to be a fishing charter you will not forget. Covering the areas between Key Biscayne and North Key Largo, Tides Right has all the best fisheries mapped, studied, and ready for you. Upper Key largo near the world class Ocean Reef area and Card Sound offers some of the most scenic fishing opportunities in the nearby yet “remote” feel of Totten Key, Old Rhodes Key, Elliot Key, and Sands Key. Don’t miss this sight fishing opportunity. 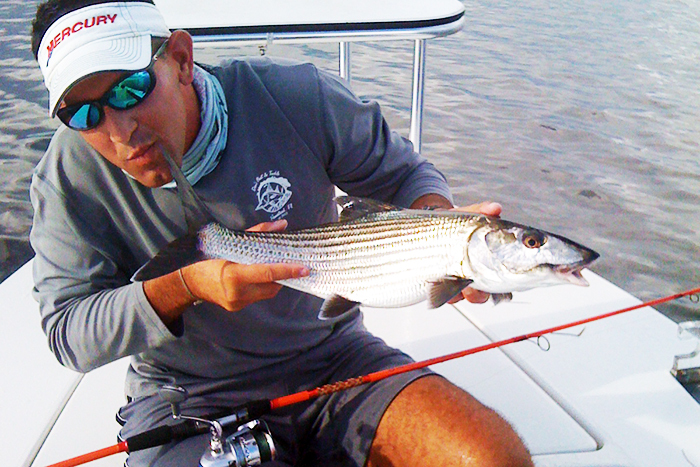 Captain Alonzo Sotillo has molded himself as a Miami Bonefish Guide in these same waters as well. Sight casting tailing Bonefish in Miami is one of those bucket list items for anglers worldwide. Even visitors with limited experience will find this specific type of fishing the most rewarding. It will also become one of those life long memories that you will talk about for years to come. Flamingo s simply an addiction. 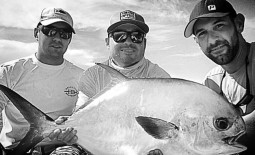 Every South Florida angler who enters this fishery comes out with the need to go back for more. The scenery in the backcountry in area’s like Whitewater Bay and the famous Hell’s Bay offer some of the most remote fishing in the state’s best fishing waters. Every turn of a corner opens all new terrain and casting opportunities. You can spend s lifetime studying this area, and some famous anglers have. The ocean side of Flamingo has some of the best sight fishing in the world. Expansive grass flats and huge tidal swings make for some of the best fishing on the planet. Whether riding the tide into Snake Bight or poling mere inches of water in more remote locations, the site of a tailing Redfish or rolling Tarpon will get you heart pumping. Ever seen a Snook belly crawl a few inches of water? Flamingo is the place to witness these huge linesiders in one of the most active fisheries on the planet in their most aggressive state.